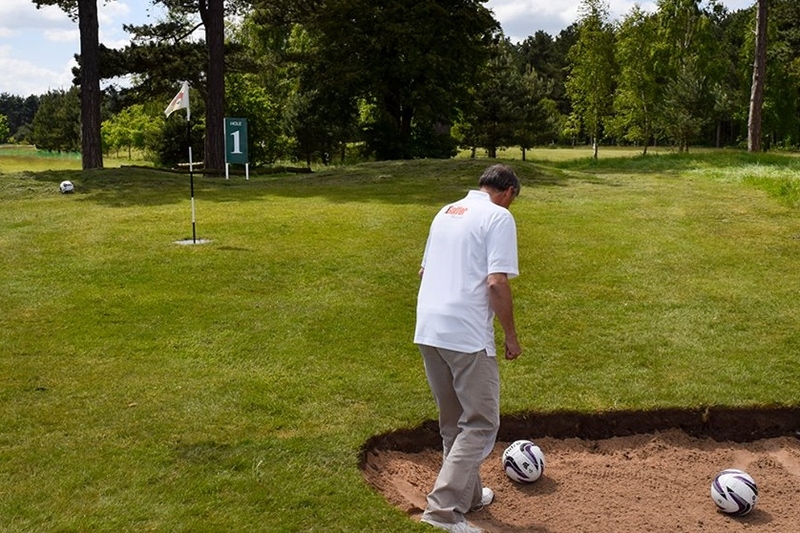 Footgolf is a sport in which players kick a football into a large golf style hole in as few shots as possible. The game is played similarly to golf, with the exception that players use a football instead of a golf ball, and the ball is kicked rather than struck with a club. The player who finishes the course with the fewest shots wins. Oakmere is one of the few venues in Nottinghamshire with a dedicated 18 Hole Footgolf course which starts near the clubhouse. 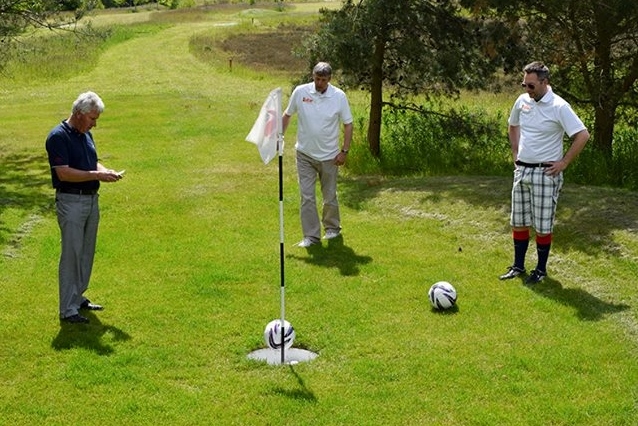 This course was originally designed by the UK Footgolf Association. On the Oakmere Footgolf course you will literally have to “Bend it like Beckham” around 60 foot pine trees to get to the greens, slice it with the outside of your foot around heather and gorse or thread it through the channels to get to a tight pin position. The 18 Hole course is made up of 3 par 5s, 10 par 4s and 5 Par 3s and is open every day from 10am. Unlimited play all day £12. 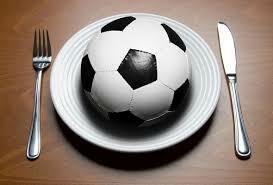 Telephone: 0115 9653545 or to book a kick-off time online.